Dr. Chad attended the University of California, San Diego where he earned his Bachelor's of Science degree in Biology. He went on to receive a Doctorate of Optometry at UC Berkeley School of Optometry in 2005. When Dr. Chad isn't chasing his three kids around, he enjoys playing basketball and going up to the Eastern Sierras with his family and friends. Dr. Mayeda was born and raised in the south bay area. His undergraduate education was done at California State University, Long Beach majoring in Microbiology. He then attended the Southern California College of Optometry in Fullerton where he received his Doctorate of Optometry. Dr. Mayeda enjoys fly fishing, hiking and photography. 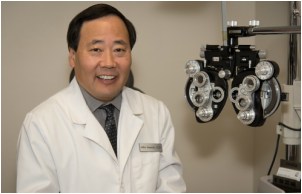 The now retired Dr. Tak is extremely blessed and grateful to have served the vision needs of his patients for over 40 years. He graduated from Southern California College of Optometry in 1968 and retired at the end of 2011. 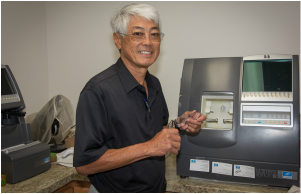 He enjoys hanging out at the office edging lenses, cleaning up and staying in touch with his patients. Dr. Tak also stays busy helping with the babysitting duties of nine grandchildren! He is involved in several ministries at Gardena Valley Baptist Church and continues to get a round of golf in each week. 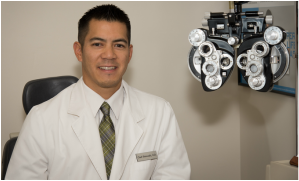 With over 100 years of combined optometric experience, the North Torrance Optometry staff is ready and excited to help you with your vision needs! They enjoy doing their best to assist in keeping your eyes healthy and keeping you looking good with the latest eye wear fashion! Don't forget to click through this slideshow!